Our program is funded by the New York State Council on the Arts with the support of Governor Andrew Cuomo and the New York State Legislature; administered by the Arts Services Initiative of Western New York. 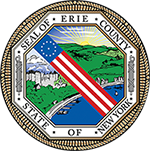 We also acknowledge the support of Erie County Cultural Funding. Copyright © 2019 Buffalo Niagara Choirs | Developed by The Coming Wave, LLC. | All Rights Reserved.